Shielded Metal Arc Welding (SMAW) is also called Manual Metal Arc Welding (MMAW) or flux shielded arc welding or popularly known as stick welding. In SMAW we generally use consumable types of electrodes. Consumable electrode means flux covered on the rod. Because of flexibility and simplicity, SMAW is the world’s best welding process. It is dominant over other welding processes due to its low maintenance cost and efficiency. It is mostly used to weld copper, iron, aluminium, nickel. 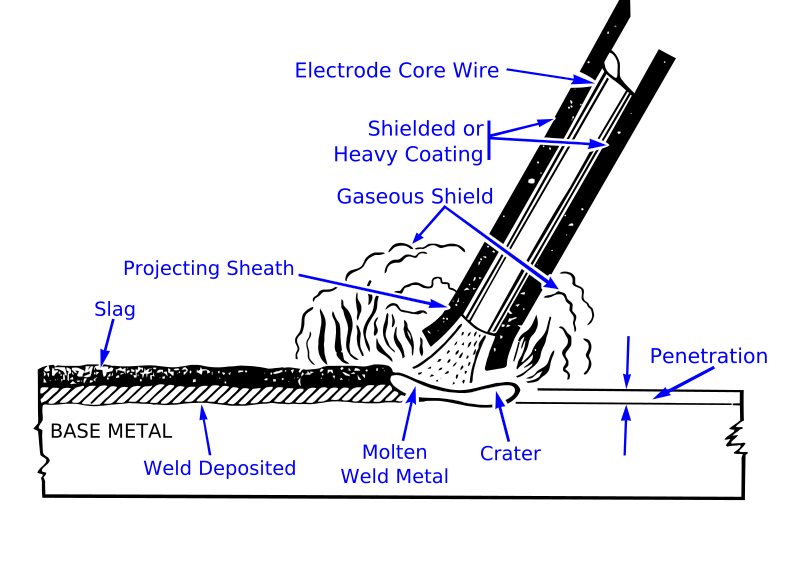 When arc is created, the electrode melts and a shielding gas and slug is produced which protects (or shields ) the weld from atmosphere contamination. 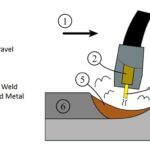 In Shielded Metal Arc Welding, we require a steady current. This current output remains constant even if the distance between arc and voltage changes. 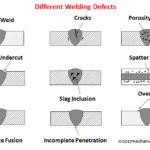 Depending upon the type of electrode you are using you have to set the polarity in this type of welding. 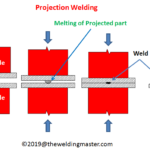 Constant current with negatively charged electrode increases the electrode melting due to developing heat and with positive electrode increases weld penetration. If we apply alternating current the polarity changes 100 times per second. But this alternating current is also important to create an equal heat distribution and to maintain proper balance between melting electrodes. Stick welding uses a step-down transformer and a rectifier through which alternating current is converted into direct current. To increase the current and simultaneously to reduce the high voltage is the main reason behind using the transformer. Multiple coils and an inverter are a typical type of machines which are used for this purpose. This coil adjusts current either by altering the no. of turns of coil or by changing the space between two coils. Inverters are portable and can efficiently change current characteristics. 1) fast-freeze electrodes: These are created for the quick process of solidification. These electrodes make the welding process flexible by preventing the displacing of weld before solidifying. 2) fast-fill electrodes: These electrodes speed up the welding process and they melt in very less amount of time. 3) fill-freeze or fast-follow electrodes: Small change in alloy composition can affect the properties of resulting manual metal arc welding. 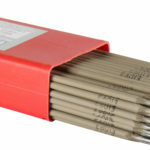 Generally, in this welding electrodes having similar composition as that of base metal are mostly used for welding metals like aluminium and copper. But sometimes there is need to use electrodes other than base material. For instance, for welding two pieces of carbon steel stainless steel electrode are often used. Calcium fluoride, cellulose and iron powder are some of the protective coatings for electrodes. 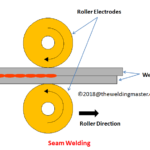 In Shielded Metal Arc Welding (SMAW), for joining the metal an electric arc is formed in between the metal and electrode with the help of an electric current. This electric current may be in the form of alternating or direct current and is supplied by welding power supply. The zone or small pool of molten metal is formed after the process of welding of workpiece. This weld cools after sometimes to form a strong joint. After sometime the flux coating of electrode gives off vapours which serve as shielding gas and slag layer. This shielding gas and slag layer prevents the weld area from contamination due to atmospheric gases such as nitrogen, oxygen. For striking an electric arc, first of all an electrode is brought in contact with the workpiece. You have to just touch this electrode to the workpiece and pulled back it smoothly. This will initiate the required arc and causes a transfer of small drops of electrode to the welding area or surface of workpiece. This could be the difficult task for beginners. The tip of an electrode must be at some lower angles to workpiece. If this angle is perpendicular then the tip of electrode will stick to the workpiece which will make welding difficult process. Molten slag provides the filler metal. During the welding process welder must be aware to change the electrode periodically and insert a new electrode carefully. The speed of the Shielded Metal Arc Welding depends upon the welder’s skills, electrode type and most important welding position. 1) It is easy process with more efficiency. 2) It is mostly comfortable with outdoor application. 3) The tools used in SMAW are portable and less expensive. 1) The limited electrode length makes this process discontinuous. 2) It requires more skills. 4) It is not an automated process, so the productivity is less than other welding processes. 1) It is dominantly used in industrial fabrication industries. 2) Stick welding is used in repair companies. 3) It is used in the construction of steel structures and in the welding process of cast iron and ductile iron. 1) Always wear hand gloves and long sleeves during entire manual metal arc welding. 2) Retinas of eyes can be damaged due to ultraviolet light falling on it. Hence, wear a welding helmet to avoid this accident. The welding helmets with dark face plates are mostly used. 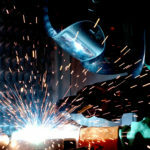 3) Some of the toxic fumes emitted during welding can harm your life. Therefore, always wear a welding mask to prevent your health from toxic gases. 4) Sometimes curtains made from polyvinyl chloride are also used to protect nearby workers from exposure to ultraviolet light.